Protein aggregation diseases (PAD), exemplified by Parkinson’s or Alzheimer’s disease and systemic amyloidoses, are characterized by an abnormal deposition of protein aggregates of regular three-dimensional structure (amyloid). The B/D PAD working group aims at developing proteomics assays for proteins that are relevant to the study, diagnosis and therapy of protein aggregation diseases. These assays are tested and refined on a set of relevant patient samples (for clinical applications) and on samples from model organisms and cell culture (for basic research). The assays are made publicly available through web-based databases such as PRIDE. The assays consist of validated coordinates for targeted proteomic assays and spectral libraries from shotgun proteomics measurements. We also generating SWATH/data-independent fragment ion maps for relevant samples. Besides developing assays for measuring protein abundances, a peculiarity of our initiative is that it attempts also the development of proteomics assays for “aberrant protein conformations”, those typically generated in PADs. The idea relies on a recently developed structural proteomic approach based on limited proteolysis and mass spectrometry (LiP-MS). Mass spectrometric assays for “functional” and “pathological” conformational states of amyloidogenic proteins will also be applied to clinical and biological samples and be made publicly available through publicly accessible databases. Clinicians actively involved in the PAD working group support the transfer to clinical practice of the developed methods, such as assays to quantify specific disease-related proteins and their fragments in biofluids and multiplexed MS-based methods for the diagnosis and typing of systemic amyloidosis. 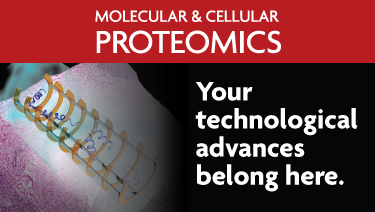 We believe that the increasing availability of tools to precisely measure proteins involved in PADs will positively impact research on the molecular bases of these diseases and support early disease diagnosis and a more-confident subtyping. Structural analysis of proteins involved in PADs using structural proteomics tools (such as LiP-MS); development of mass spectrometric assays to monitor healthy and pathological conformational states of proteins involved in PADs and evaluation of the concept of “conformational biomarkers of disease”. Laferrière F, Maniecka Z, Pérez-Berlanga M, Hruska-Plochan M, Gilhespy L, Hock EM, Wagner U, Afroz T, Boersema PJ, Barmettler G, Foti SC, Asi YT, Isaacs AM, Al-Amoudi A, Lewis A, Stahlberg H, Ravits J, De Giorgi F, Ichas F, Bezard E, Picotti P, Lashley T, Polymenidou M. TDP-43 extracted from frontotemporal lobar degeneration subject brains displays distinct aggregate assemblies and neurotoxic effects reflecting disease progression rates. Nat Neurosci. 2019 Jan;22(1):65-77. doi: 10.1038/s41593-018-0294-y. Epub 2018 Dec 17. PubMed PMID: 30559480. Ulrich G, Salvadè A, Boersema P, Calì T, Foglieni C, Sola M, Picotti P, Papin S, Paganetti P. Phosphorylation of nuclear Tau is modulated by distinct cellular pathways. Sci Rep. 2018 Dec 7;8(1):17702. doi: 10.1038/s41598-018-36374-4. PubMed PMID: 30531974; PubMed Central PMCID: PMC6286375. Boersema PJ, Melnik A, Hazenberg BPC, Rezeli M, Marko-Varga G, Kamiie J, Portelius E, Blennow K, Zubarev RA, Polymenidou M, Picotti P. Biology/Disease-Driven Initiative on Protein-Aggregation Diseases of the Human Proteome Project: Goals and Progress to Date. J Proteome Res. 2018 Sep 28. doi: 10.1021/acs.jproteome.8b00401. [Epub ahead of print] PubMed PMID: 30137990. Bergmann TJ, Fregno I, Fumagalli F, Rinaldi A, Bertoni F, Boersema PJ, Picotti P, Molinari M. Chemical stresses fail to mimic the unfolded protein response resulting from luminal load with unfolded polypeptides. J Biol Chem. 2018 Apr 13;293(15):5600-5612. doi: 10.1074/jbc.RA117.001484. Epub 2018 Feb 16. PubMed PMID: 29453283; PubMed Central PMCID: PMC5900776. Saad S, Cereghetti G, Feng Y, Picotti P, Peter M, Dechant R. Reversible protein aggregation is a protective mechanism to ensure cell cycle restart after stress. Nat Cell Biol. 2017 Oct;19(10):1202-1213. doi: 10.1038/ncb3600. Epub 2017 Aug 28. PubMed PMID: 28846094. Leuenberger P, Ganscha S, Kahraman A, Cappelletti V, Boersema PJ, von Mering C, Claassen M, Picotti P. Cell-wide analysis of protein thermal unfolding reveals determinants of thermostability. Science. 2017 Feb 24;355(6327). pii: eaai7825. doi: 10.1126/science.aai7825. PubMed PMID: 28232526. Kuhlmann J, Andreasson U, Pannee J, Bjerke M, Portelius E, Leinenbach A, Bittner T, Korecka M, Jenkins RG, Vanderstichele H, Stoops E, Lewczuk P, Shaw LM, Zegers I, Schimmel H, Zetterberg H, Blennow K; IFCC Working Group on Standardization of CSF proteins (WG-CSF). CSF Aβ(1-42) - an excellent but complicated Alzheimer's biomarker - a route to standardisation. Clin Chim Acta. 2017 Apr;467:27-33. doi: 10.1016/j.cca.2016.05.014. Epub 2016 May 20. Review. PubMed PMID: 27216941. Kvartsberg H, Lashley T, Murray CE, Brinkmalm G, Cullen NC, Höglund K, Zetterberg H, Blennow K, Portelius E. The intact postsynaptic protein neurogranin is reduced in brain tissue from patients with familial and sporadic Alzheimer's disease. Acta Neuropathol. 2019 Jan;137(1):89-102. doi: 10.1007/s00401-018-1910-3. Epub 2018 Sep 22. PubMed PMID: 30244311; PubMed Central PMCID: PMC6338696. Portelius E, Olsson B, Höglund K, Cullen NC, Kvartsberg H, Andreasson U, Zetterberg H, Sandelius Å, Shaw LM, Lee VMY, Irwin DJ, Grossman M, Weintraub D,Chen-Plotkin A, Wolk DA, McCluskey L, Elman L, McBride J, Toledo JB, Trojanowski JQ, Blennow K. Cerebrospinal fluid neurogranin concentration in neurodegeneration: relation to clinical phenotypes and neuropathology. Acta Neuropathol. 2018 Sep;136(3):363-376. doi: 10.1007/s00401-018-1851-x. Epub 2018 Apr 26. PubMed PMID: 29700597; PubMed Central PMCID: PMC6096740. Afroz T, Hock EM, Ernst P, Foglieni C, Jambeau M, Gilhespy LAB, Laferriere F, Maniecka Z, Plückthun A, Mittl P, Paganetti P, Allain FHT, Polymenidou M. Functional and dynamic polymerization of the ALS-linked protein TDP-43 antagonizes its pathologic aggregation. Nat Commun. 2017 Jun 29;8(1):45. doi: 10.1038/s41467-017-00062-0. PubMed PMID: 28663553; PubMed Central PMCID: PMC5491494. Molinuevo JL, Ayton S, Batrla R, Bednar MM, Bittner T, Cummings J, Fagan AM, Hampel H, Mielke MM, Mikulskis A, O'Bryant S, Scheltens P, Sevigny J, Shaw LM, Soares HD, Tong G, Trojanowski JQ, Zetterberg H, Blennow K. Current state of Alzheimer's fluid biomarkers. Acta Neuropathol. 2018 Dec;136(6):821-853. doi: 10.1007/s00401-018-1932-x. Epub 2018 Nov 28. Review. PubMed PMID: 30488277; PubMed Central PMCID: PMC6280827. Öhrfelt A, Brinkmalm A, Dumurgier J, Brinkmalm G, Hansson O, Zetterberg H, Bouaziz-Amar E, Hugon J, Paquet C, Blennow K. The pre-synaptic vesicle protein synaptotagmin is a novel biomarker for Alzheimer's disease. Alzheimers Res Ther. 2016 Oct 3;8(1):41. PubMed PMID: 27716408; PubMed Central PMCID: PMC5048479. Feng Y, Picotti P. Selected Reaction Monitoring to Measure Proteins of Interest in Complex Samples: A Practical Guide. Methods Mol Biol. 2016;1394:43-56. doi: 10.1007/978-1-4939-3341-9_4. PubMed PMID: 26700040. Boersema PJ, Kahraman A, Picotti P. Proteomics beyond large-scale protein expression analysis. Curr Opin Biotechnol. 2015 Aug;34:162-70. doi: 10.1016/j.copbio.2015.01.005. Epub 2015 Jan 28. Review. PubMed PMID: 25636126. 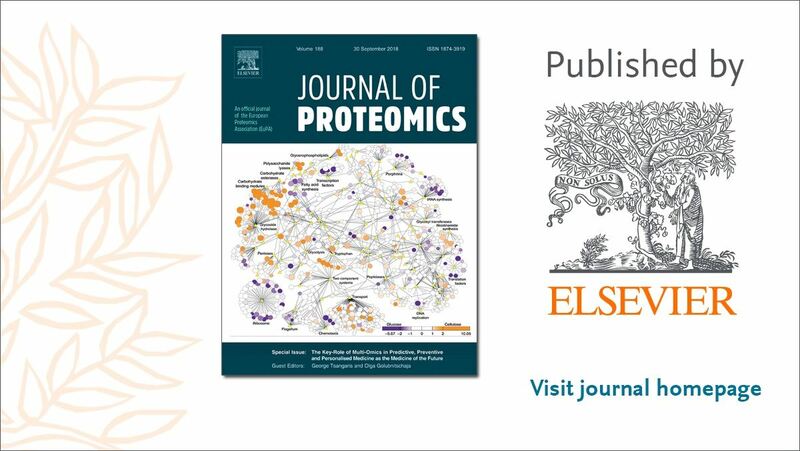 Feng Y, De Franceschi G, Kahraman A, Soste M, Melnik A, Boersema PJ, de Laureto PP, Nikolaev Y, Oliveira AP, Picotti P. Global analysis of protein structural changes in complex proteomes. Nat Biotechnol. 2014 Oct;32(10):1036-44. doi: 10.1038/nbt.2999. Epub 2014 Sep 14. PubMed PMID: 25218519. Rezeli M, Zetterberg H, Blennow K, Brinkmalm A, Laurell T, Hansson O, Marko-Varga G. Quantification of total apolipoprotein E and its specific isoforms in cerebrospinal fluid and blood in Alzheimer’s disease and other neurodegenerative diseases. 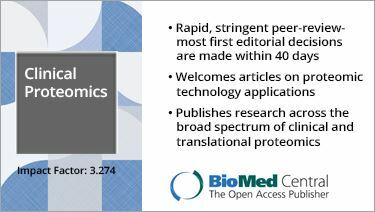 (2015) EuPA Open Proteomics, 8, 137-143.